ALERT: Includes Missouri Minimum Wage Increase Effective January 1, 2019. 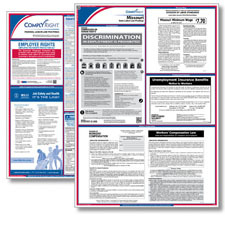 The Missouri Fair Employment poster has been updated to reflect a clarification to the definition of employment agencies under the Missouri Human Rights Act. 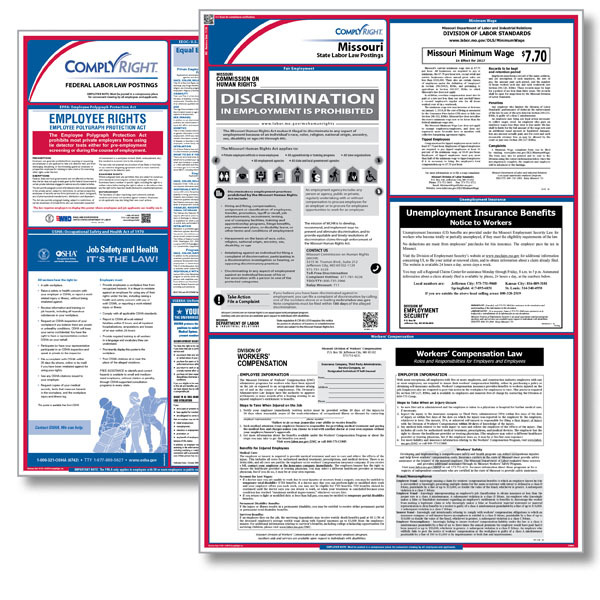 The Missouri Fair Employment poster has been updated to reflect an additional listing of discriminatory practices and additional information on filing a complaint. State Posting - 30" x 24"